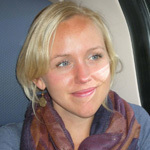 Saskia holds a double Master degree in Cultural Anthropology and International Relations. Following her ambitions she got involved in development aid through extensive experience in Guatemala, Brazil, Bolivia and Peru, and held management positions in both the commercial and non-profit sector. She is now utilising this experience in her current position as Programme Adviser Foundations at the Institutional Funding Unit of War Child Holland.